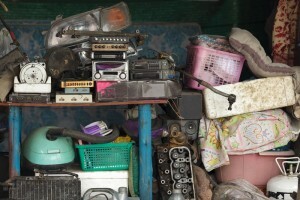 After the holidays, most people are left with a lot of things they collected throughout the year. I’m going to use the word collected and not hoarded, because its sounds a lot classier. And I don’t want to offend all you hoarders. But yeah, it might be time to start thinking about beginning the process to Declutter Your Home. Never fear, for we are here to help you out in what should be a relatively easy way to Declutter Your Home, with these simple tips. Decluttering doesn’t have to be a hassle or a chore if you time it right and dedicate a little bit of time each day to perform these simple tasks. Let’s begin! Give away one item each day. It’s as simple as that. Look for the things you most definitely don’t want and give them to goodwill or your local shelter.To identify wardrobe pieces to clear out, hang all your clothes with the hangers in the reverse direction. After you wear an item, return it to the closet with the hanger facing the correct direction. After six months, you’ll have a clear picture of which clothes you can easily discard. This experiment could also be applied to a number of clutter areas in your home (cleaners, toys, linens, tools, hobbies and craft items). A simple task of locating 12 items to throw away, 12 items to donate, and 12 items to be returned to their proper home can be a really fun and exciting way to quickly organize 36 things in your house. Try to wear only 33 articles of clothing for 3 months. If 33 articles of clothing seems too little, adjust the rules as you need by picking a new number. The important thing is to challenge yourself to live with less and see what you learn from the experiment. Use your imagination.Try asking yourself unique questions like, “If I was just buying this now, how much would I pay?” These creative techniques may prove to be very helpful for some with difficulties removing unneeded clutter. The Four-Box Method. This is a technique most often used in many homes. 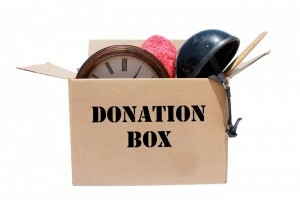 As you set out to Declutter Your Home, bring in four boxes: trash, give away, keep, or relocate. Each item in every room should be placed into one of the four categories. No item should be passed over. Each must be considered individually. Some projects may take an hour… others days or weeks. But the technique and principles remain the same. Thank you for reading! We hope these tips have helped you find out a better way to Declutter Your Home. Be sure to share this with family and friends and we hope you have a nice day! Goodbye!